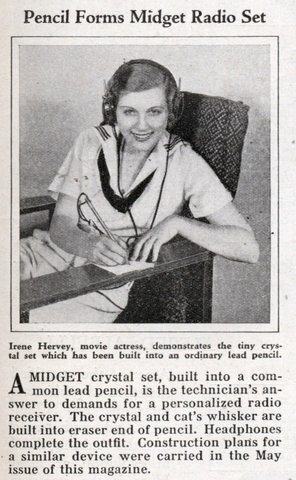 A MIDGET crystal set, built into a common lead pencil, is the technician’s answer to demands for a personalized radio receiver. The crystal and cat’s whisker are built into eraser end of pencil. Headphones complete the outfit. 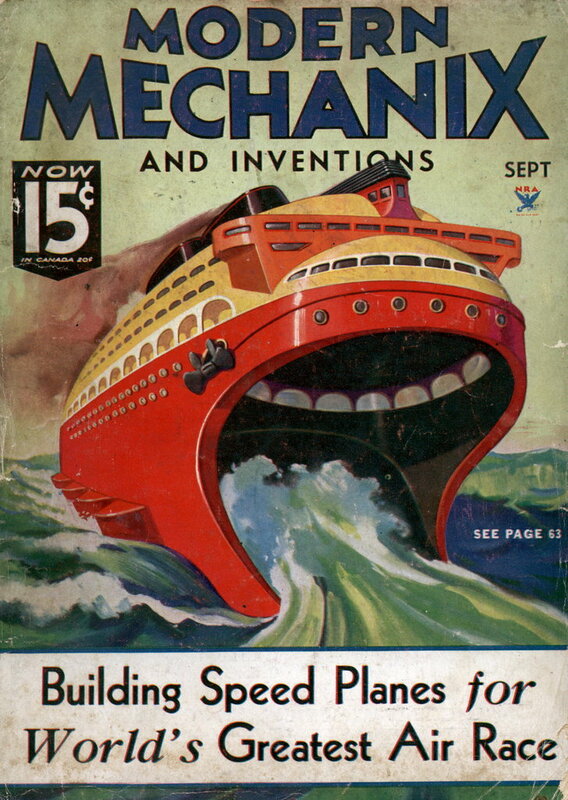 Construction plans for a similar device were carried in the May issue of this magazine.